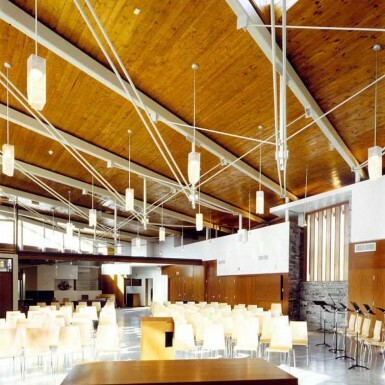 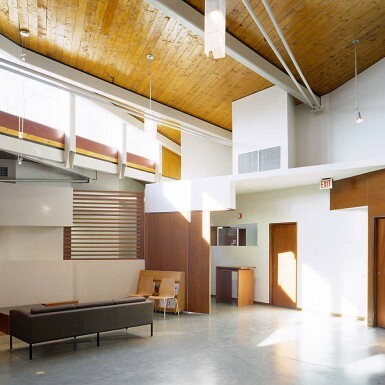 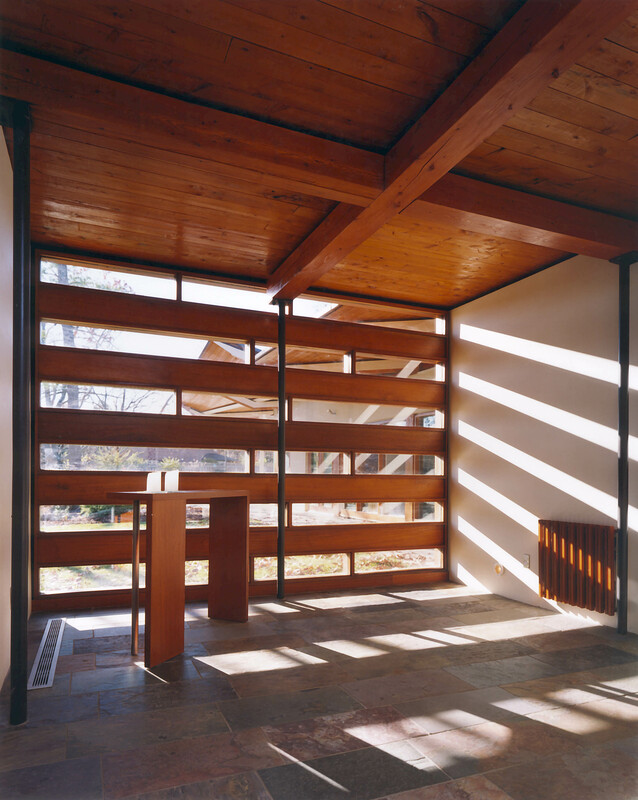 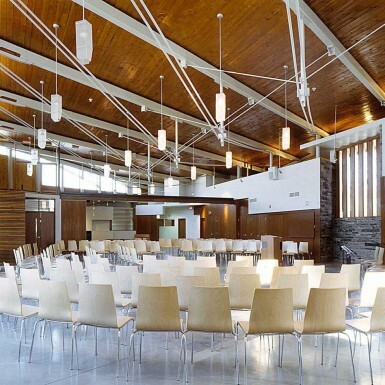 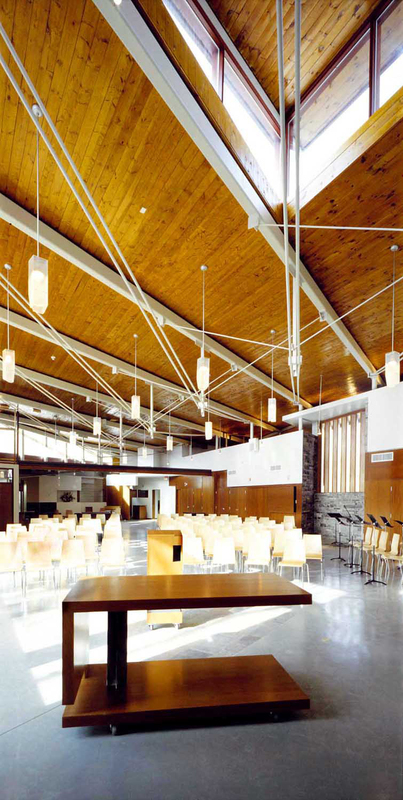 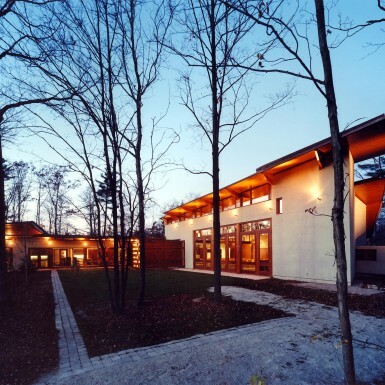 The Church of the Incarnation in Oakville is designed as a serene and flexible religious space with generous natural light. 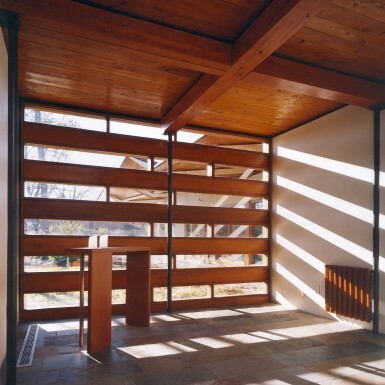 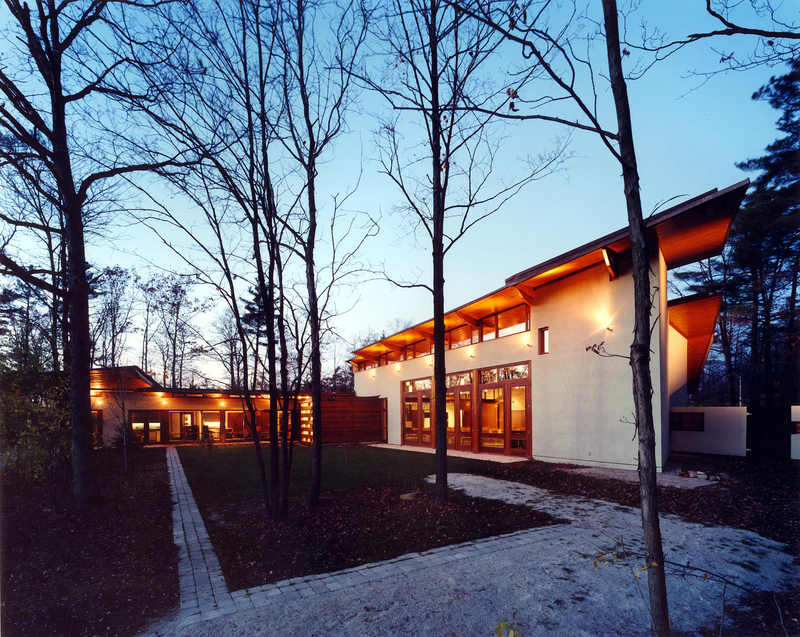 Stone walls and exposed timber roofs respectfully respond to the wooded site, and create a welcoming and warm interior. 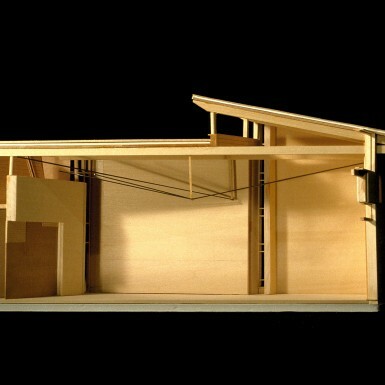 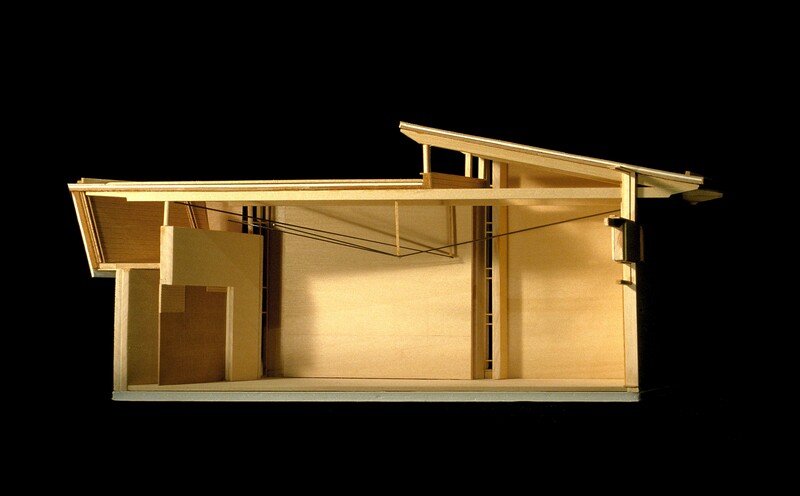 The clearly articulated building structure defines the main worship space and sets the stage for communal gathering and celebration.